Jonathan will be at the Purbeck Pirate Festival 2018, Swanage, on 23rd – 27th May. He’ll be based at Sandpit Field. He will be demonstrating various stone carving techniques, and will probably have a stone carved skull and crossbones with him too! Please come and say “Hello” (or “Ahoy there”!). 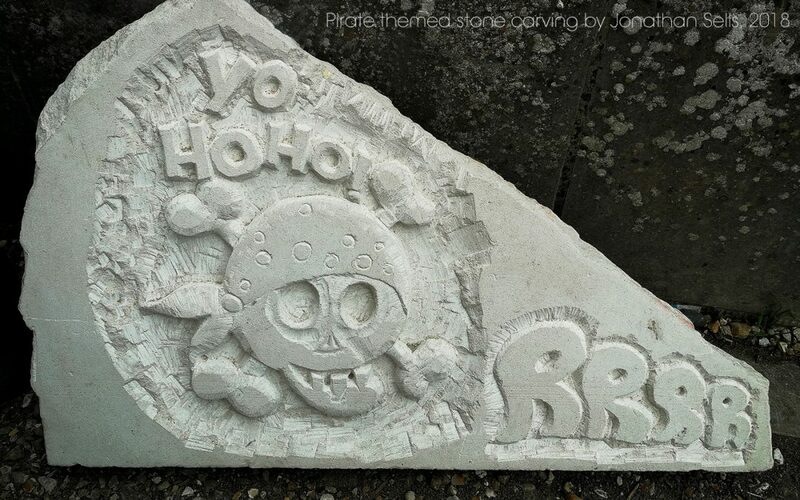 (Photo, above, shows a 2018 pirate themed stone carving by Jonathan). 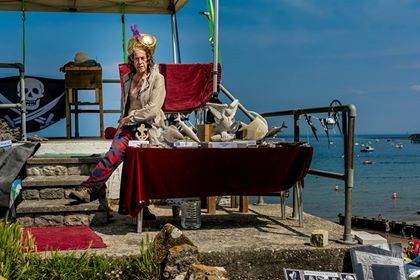 Photo of Jonathan Sells at the Purbeck Pirate Festival 2018, by Deefa D De’Ville.